Carlton have added Williamstown VFL star Michael Gibbons and Dandenong Stingray Matthew Cottrell as rookies. The pair will be priced at $170,000 as they haven’t had AFL experience and likely to be named as MIDs. Carlton has called Gibbons ‘midfield-forward’ in an article. 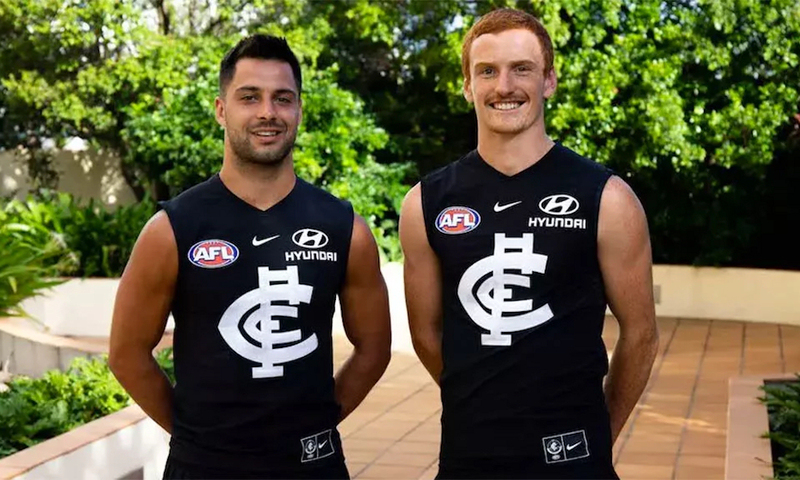 They have been training with Carlton and were told the news at the club’s summer training camp in Mooloolaba. Unfortunately they are unable to play in the JLT Community Series. Carlton had a list spot open for new signing following the draft. Gibbons and Cottrell replace Sam Docherty (ACL injury) and Tom Bugg (retired) meaning there is still one list spot available for the Blues to fill. Gibbons is a dual JJ Liston Trophy winner (VFL Best and Fairest), member of the VFL team of the year for the last three seasons and won the Norm Goss Medal in the Seagulls’ 2015 premiership. In 2018 the 23-year-old was named in the best 16 of a possible 20 times and averaged 26.4 disposals and 5.5 tackles a game. Gibbons averaged 110 Fantasy points in the VFL this season. Cottrell is a running machine who possesses outstanding endurance. He was a state middle distance runner as a junior. Cottrell played for the Stingrays for the last two seasons, averaging 13.1 disposals, 4 tackles and 61 Fantasy points in 2018 from his 20 games. Cottrell’s best return was in round 7 against Eastern Ranges where he kicked two goals while collecting 15 disposals, 7 tackles and 102 Fantasy points. New players selected via the SSP will be priced at $170K unless they have had AFL experience – if so, they will be priced according to the set rules. No interest unless they are named for R1.